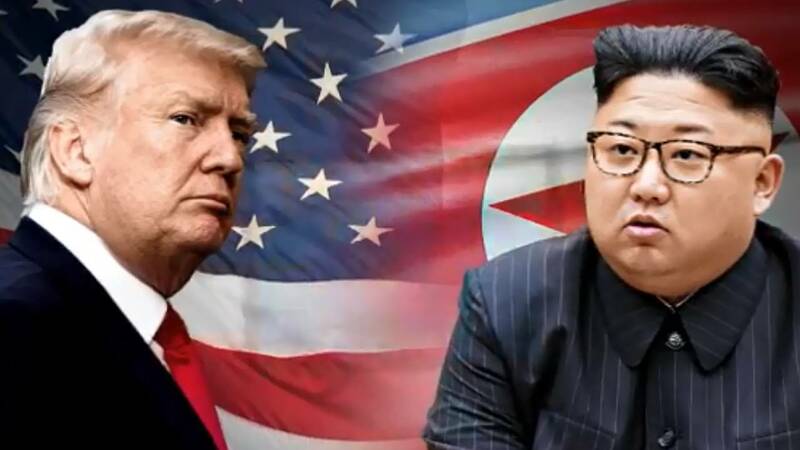 SENTOSA ISLAND, Singapore (CNN) - Perhaps it was Kim Jong Un, as interpreted through his translator, who best summed up the historic summit between President Donald Trump and the North Korean leader in Singapore. "Many people in the world will think of this as a form of fantasy ... from a science fiction movie," Kim said via the translator after the two leaders first met. The first episode of this close encounter with Kim had the whole world binge-watching, from the first handshake to the dictator's tour of the presidential limousine, known as "The Beast," courtesy of Trump. Gone are the days of "fire and fury" and "Little Rocket Man." In response to shouted questions from reporters after his one-on-one meeting with the dictator, Trump beamed that the two leaders were already off to an "excellent relationship." Trump praised Kim's love of his country, sizing up the strongman as "very talented." The pool of print, television and radio journalists closely following the day's developments on Sentosa Island attempted to question Kim as well. In what was a rare but irresistible opportunity to press Kim on his plans, a reporter with the Los Angeles Times, Noah Bierman, asked: "Chairman Kim, will you denuclearize?" "Will you give up your nuclear weapons," this reporter followed. Kim, who barely spoke until a signing ceremony at the end of the summit despite the presence of his translator, did not respond. After their working lunch, the two leaders strolled through the lush gardens at the summit site. The stroll was rehearsed for days, with White House staffers playing the roles of the two leaders before Trump and Kim did it for real, a White House official said. At one point, Trump pointed down to the ground and Kim seemed to nod, playing along in what was a carefully choreographed moment. Reporters stood only a few feet away as Trump again declared the day a success. "Top of the line," the President said, arguing the summit went better than his critics had expected. But Trump, who had once threatened to walk away from his negotiations with Kim if they appeared to be fruitless, allowed the dictator to leave Singapore with few hard commitments. Just before the two leaders signed their agreement to continue negotiations there was a chaotic scene. North Korean and US journalists argued and elbowed one another for nearly 20 minutes jostling for position to capture the moment when Trump and Kim entered the room. Trump and Kim both spoke to reporters gathered in the room. Speaking through a translator, Kim vowed: "The world will see the major change." It's not exactly clear how or when that change will come. Asked by this reporter whether Kim indeed pledged to denuclearize, something the President promised, Trump insisted the wheels are in motion. "We're starting that process very quickly. Very, very quickly," Trump said at a signing ceremony. Using pens bearing the President's name, the two leaders signed their agreement and, within minutes, said their goodbyes. Trump, beaming over what seemed almost a bromance with one of the world's most brutal dictators, said he would invite Kim to the White House. "Absolutely, I will," Trump said. The President was clearly feeling confident enough in his own perceived success to hold an hour-long news conference, including calling on reporters he has demonized in person and on social media, and telling this reporter to "be nice."